While reading The Daily Mail the other day I was disturbed to read that Britain’s Information Commissioner (Richard Thomas) has said he has serious concerns about a system being launched in October for the Independent Safeguarding Authority (ISA). The database will record criminal convictions of the 11 million adults who work with children, but also any so-called “soft intelligence” on individuals – which could include unfounded allegations, rumours or gossip passed to the police or social services. The ISA computer will contain detailed files on all the adults who work with children, whether professionally or as volunteers. 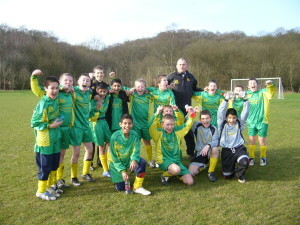 That includes me, as for the past two years I have been manager of an Under-13s Junior Football Team, Unsworth Dragons. In the past few years I have been CRB-checked twice, an Enhanced Disclosure in order that I can volunteer with Unsworth Junior Football Club and a basic disclosure for my work as a Heatseeker Surveyor (working with the elderly and vulnerable, in their homes). Further in to the dim and distant past, I had to endure a positive vetting process, as part of the UK’s security clearance system – so I feel that I am eminently qualified to discuss the merits and drawbacks of the need for background checks. Nobody can deny the need to ensure that the people who work with our children (either in a professional or voluntary capacity) must be properly checked to ensure that we provide a safe and secure environment for our kids to learn and compete – however, there are problems with the time it takes to perform some CRB checks and real concerns about the data that might be used to make a decision. The Information Commissioner has said the database would contain ‘allegations, some rumour, some speculation’. Once an application is made, an official working for the ISA will look at all the “information” on file and then decide whether or not someone is fit to work with children – without that person knowing what he or she is accused of. Michael Barnes, national secretary for Falsely Accused Carers and Teachers (Fact) said, following the Soham murders, more information was now disclosed on CRB checks. “Issues that previously wouldn’t have appeared on an enhanced CRB now routinely do appear because of the Huntley situation at Soham,” he told the cross-party committee of MPs. Amanda Brown, head of Employment, Conditions and Rights at the National Union of Teachers said teachers often did not know that details of a previous minor incident, where no blame was found, were on their records until they applied for a new job. Paul Kaufman, partner at law firm Wiseman Lee LLP, said teachers who applied for a new job several years after an allegation was made could have difficultly in exonerating themselves to a new employer, because solicitors files can be destroyed after seven years and court transcripts may also be destroyed. Obviously the safety and well being of children and young people is absolutely paramount but the Criminal Records Bureau, which will provide intelligence to ISA, makes thousands of mistakes every year, with only about 5% of complaints found to be true. Additional problems with the system lies around the matter of security of the data held, since the HMRC lost the details of 25million people little over a year ago, there have been 500 further significant data losses – two-thirds of them by the public sector. The NHS is the worst offender. We need a fair, open and transparent system that works and can be trusted by both sides but serious concerns about projects such as the CRB system, National ID cards and the continued loss of sensitive personal data by both the public and private sectors does not help instil confidence in any Big Brother-like system. The ISA database must only contain accurate information and individuals should be able to view their file at any time, with a system in place to challenge incorrect information – very similar to the way a person’s credit file can be checked and updated.